After issuing a decree to ease gun ownership in Brazil, president Bolsonaro will take some time before in putting forward bills to change open carry regulations as well. One of the president's campaign promises was to do away with the requirement of a proven need to keep a gun at home, and the new decree, signed on Tuesday (16th) fulfilled it. But open carry regulations were left out because they would lead to legal hurdles. Bolsonaro's aides say that the discussion around open carry is more delicate and should be done in partnership with Congress. In addition, they argue, it is necessary to focus all efforts at approving the Social Security reform, an issue considered crucial to jumpstarting the Brazilian economy after years of recession. Their fear is that by pushing two controversial bills at the same -- open carry and changes in retirement rules - would harm their odds of being approved in Congress. 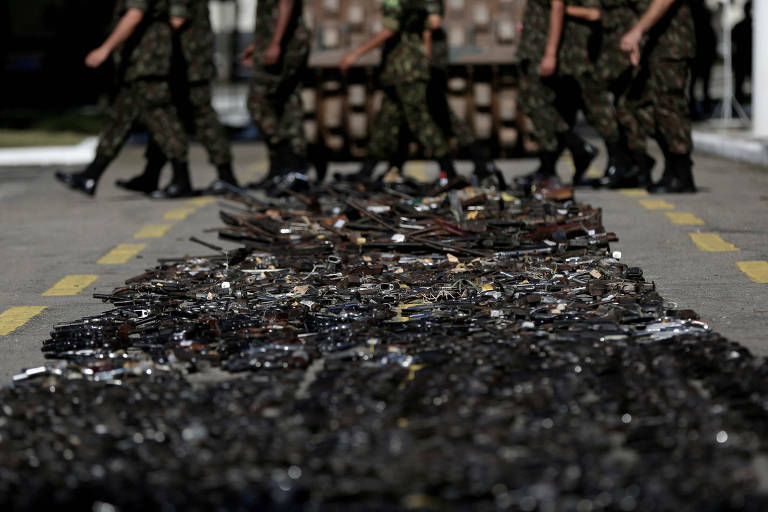 The idea, according to the same aides, is that Bolsonaro and his cabinet continue to foster a favorable public opinion on loosening gun control and keep checking on the lawmaker's disposition towards it. If things look positive, then they can try to push a bill. On Tuesday (15th ), example, the president promised to move forward in discussions on open carry and reducing the minimum age to own a gun, which now is 25 years old. According to Bolsonaro, this and other issues will be discussed with his team when he returns from the World Economic Forum, in Davos, Switzerland.